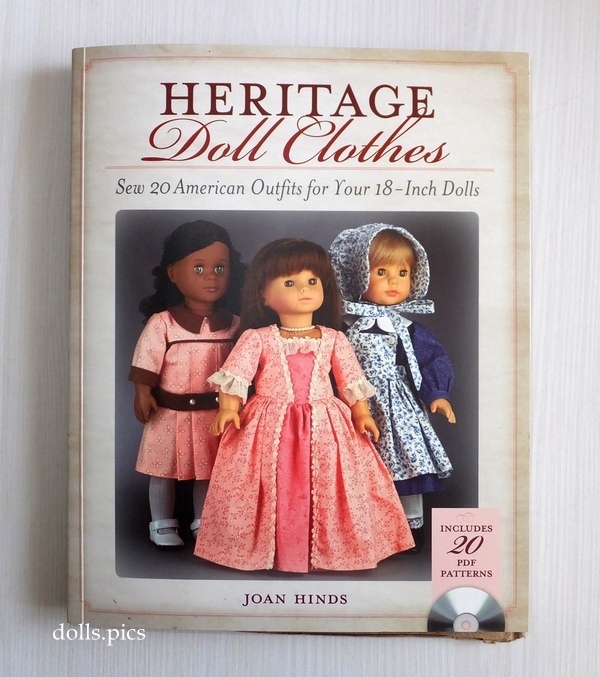 In this publication I present to you the edition of Joan Hinds on the creation of clothes of different eras for dolls growing 46 cm / 18 “” Heritage Doll Clothes: Sew 20 American Outfits for Your 18-Inch Dolls. ” The book is 160 pages long. Paper chalked, beautiful photos that give a good idea of the details of the costumes. 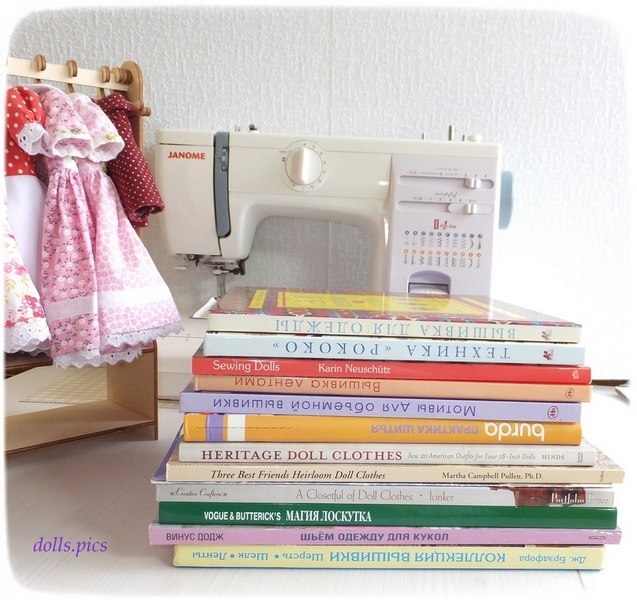 My first impression of viewing a paper version of the book is admiration and the desire to release a book about doll clothes with the same beautiful illustrations. The author presents 20 historical costumes for dolls, including accessories for clothing, dating back to 1700 and ending with a 1940 dress. General instructions for sewing operations. A few chapters about different details of underwear (lower dress and skirts, “crinoline”, pantaloons), understandable, painted sewing instructions for each model. This entry was posted in Books, Books and magazines, Clothes for dolls, Designers of clothes and shoes for dolls, Dolls and tagged 18 Inch dolls, American Girl Doll, Books and magazines, Gotz, Our Generation Dolls, сlothes for dolls. Today, a short run through the shelves of the store with dolls LORI. This baby is 15 cm tall with a tissue body and a vinyl head, handles and legs. 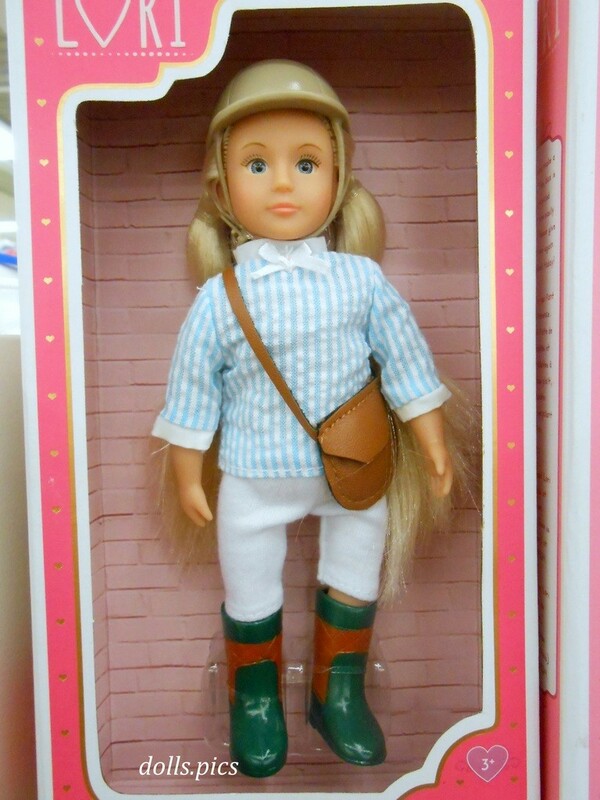 Once they were mini-dolls of Our Generation, and now it’s a separate brand. The quality of the dolls is different. 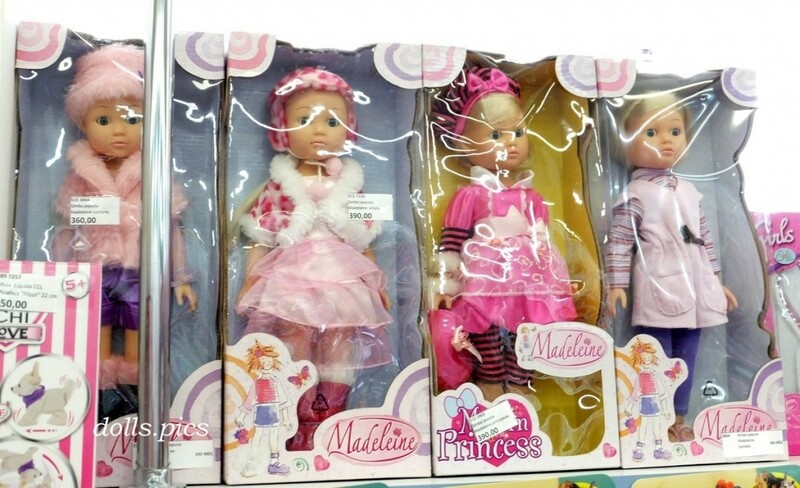 I read on the Internet enthusiastic responses and stories about defective dolls with bad firmware of hair. I really like the lovely faces of these dolls and pretty clothes. This entry was posted in Doll manufacturers, Doll reviews, Dolls, Interesting about dolls and tagged dolls, reviews of dolls, сlothes for dolls. Today, a little about the doll Madeleine from the famous German brand Simba. More common are dolls Evi, which we already wrote on the site, but girls such as Madeleine, also needed in the children’s game. This entry was posted in Doll reviews, Dolls and tagged dolls, reviews of dolls. Arias Elegance Carlota – beautiful doll growth of 34 cm. She comes from Spain from the manufacturer of toys Arias. I had a guest such, but they are in different versions of clothes. I did not find many such dolls. I suppose that the issue was small, but in vain. Pupa is pretty, just do not stuff it with vanilla flavor. Carlota is a fully vinyl doll. This entry was posted in Doll reviews, Dolls and tagged dolls, reviews of dolls, сlothes for dolls.